I often hear (and read) other music fans about my (middle) age say that good music isn’t being made anymore. That’s not the case, of course, and in past posts I’ve spotlighted a few (relatively) new acts that point out the fallacy of such statements. Here’s another example. 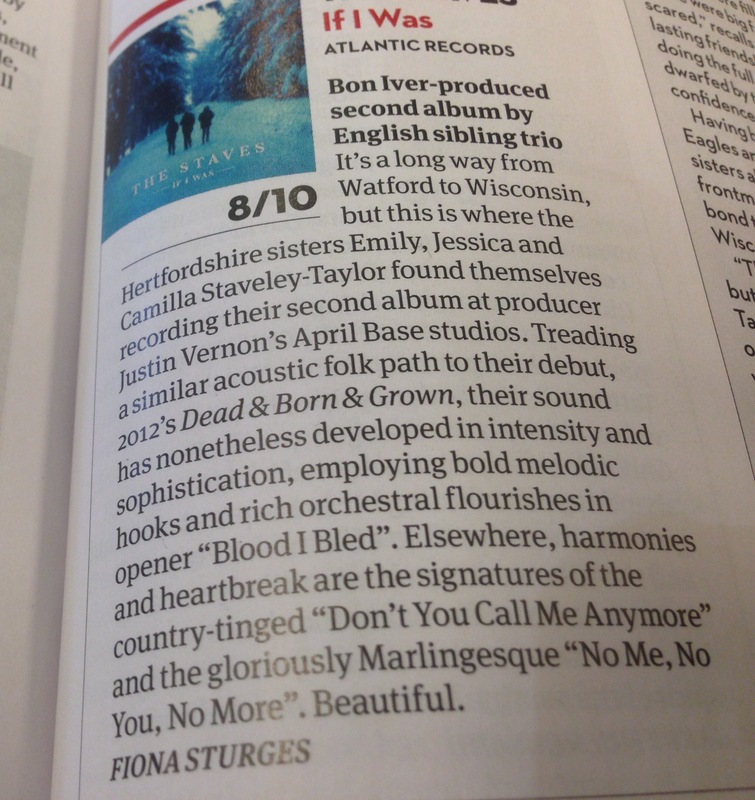 The Staves are three sisters from Britain who sound like they stepped out of the late ’60s or early ’70s. I discovered them, as I often do new (and new-to-me) acts, via a review in my favorite music magazine, Mojo. It’s a Brit magazine available in Barnes & Noble bookstores in the U.S. – usually delayed by a month. I skim the reviews, look for anything that may appeal to my sensibilities. In the case of If I Was, the phrases “acoustic folk,” “bold melodic flourishes” and “harmonies and heartbreak” leapt off the page. Emily, Jessica and Camilla blend their voices as if, as I said in my previous post, a distaff Crosby, Stills & Nash. They also trade lead vocals in such a way that the result is an intertwining slice of heaven – “Make It Holy” is aptly named, in that regard.